At our conveniently located dental office in Phillipsburg, Birnbaum Dentistry provides comprehensive dental services that focus on your optimal oral health with aesthetically pleasing materials for a radiant smile. Our dental practice is at the border between Phillipsburg, NJ and Easton, PA, and we serve to provide a variety of general and cosmetic dental procedures. 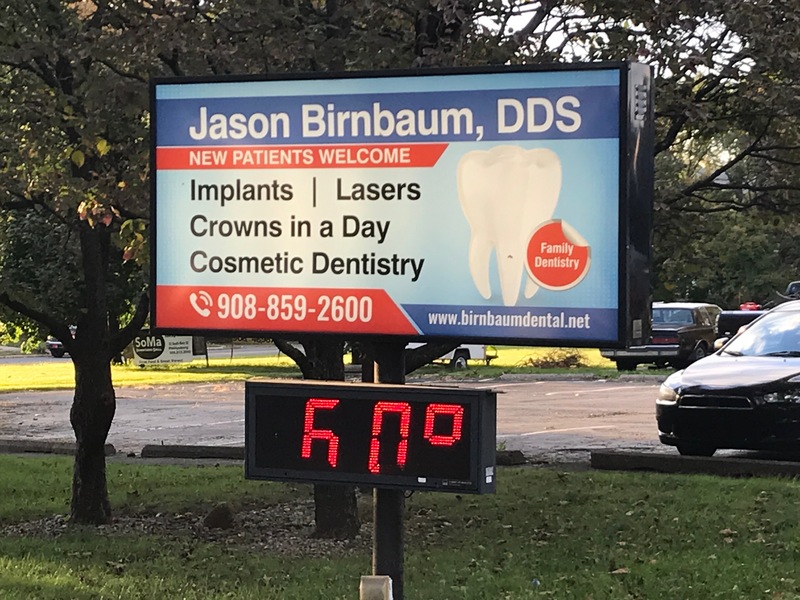 Equipped with the latest in dental technology, and with over 180 years of combined experience, Dr. Jason Birnbaum and the staff provide high quality dental care that meet your needs. Your first appointment at our dental practice begins with visiting the hygienist first. They will conduct an in-depth examination of your smile, take necessary digital x-rays, and provide you with teeth cleaning. Once this is completed, Dr. Birnbaum will come in to explain the findings from the exam and x-rays and discuss the concerns you may have about your oral health. Our Phillipsburg dentist will conduct a full examination with the guidance of the hygienist’s pre-examination, and recommend treatment options that best meet your specific goals. At our dental practice, we have a long standing staff that ensures you always see a familiar face when you walk through the door. Your comfort and ease during treatment is important to us, which is why we have TV’s in the operatories so you can watch movies while in the chair, or head phones to block out anxiety inducing dental sounds. Our staff is compassionate and patient, and are here to make your visit enjoyable and effective. Birnbaum Dentistry is focused on cosmetic and reconstructive dentistry to rebuild the smile. Patients can receive same-day crowns through CEREC’s CAD-CAM imaging and its milling machine. Made out of porcelain, custom restorations are created at our dental practice in one visit. All-porcelain CEREC crowns are a convenient, custom restoration provided in one visit. We are also a metal-free dental practice providing porcelain cosmetic restorations such as veneers and bridges. Patients missing teeth will find dental implants topped with a tooth-colored restoration to be effective teeth replacements. Soft tissue surgeries, fillings, scaling and root planing can be assisted with laser dentistry, which enables effective treatment, encourages healing and prevents the need for anesthesia. Dr. Birnbaum, a Fellow in the Academy of General Dentistry, has completed over 500 continuing education courses and maintains active dental licenses in both New Jersey and Pennsylvania, providing the latest dental treatments with exceptional experience. Contact our Phillipsburg Cosmetic Dentist Today! Birnbaum Dentistry provides general and cosmetic dentistry to restore and enhance your oral health and the aesthetics of your smile. For more information about our services, or to schedule an appointment, contact our Philipsburg, NJ dental practice today. We are proud to serve patients throughout Leigh Valley, Easton, PA, as well as Lopachong, Stewartville, and Belvidere, NJ.